LAURELTON, Queens (WABC) -- Police have identified the suspect wanted in the fatal shooting of a well-known barber in Queens. Zanu Simpson, 32, was found in the driver's seat of his BMW at South Conduit and Lansing Avenue in Laurelton just before 12:15 a.m. Tuesday. 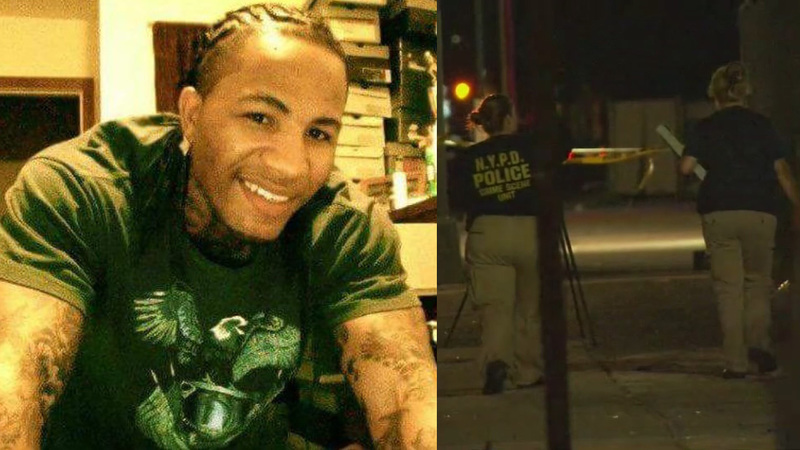 He had suffered a gunshot wound to the head and was pronounced dead at Jamaica Hospital. Now, the NYPD has identified 31-year-old Tyson Boateng as the prime suspect. The suspect, dressed in gray sweatpants, fled in a silver vehicle. A witness, a passing motorist, called 911 to report a man in a charcoal gray sweatshirt punching Simpson through his driver's side window. When police arrived, they found him fatally shot. Simpson is believed to have been the intended target. He owned Strictly Skillz Barbershop in Hollis with his older brother. "His brother Sam is taking it very hard," cousin Ian Buddington said. "We left him at the house with family members praying and encouraging him." The murder could be in retaliation for recent social media posts, investigators said. Simpson is a popular barber with an active social media profile, and detectives are combing through social media that includes recent posts that could have been interpreted as taunts.